Teenage superspy Alex Rider is plotting a return to the screen. But it will be the small screen this time. 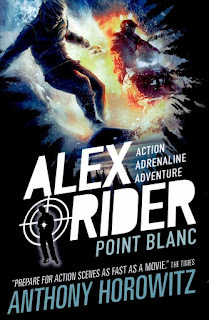 Deadline reports that Sony has boarded Eleventh Hour Films' 8-episode miniseries adaptation of Anthony Horowitz's second Alex Rider novel, Point Blanc. (In America it was published as Point Blank, effectively crushing Horowitz's titular pun... probably on the same insulting assumption that Americans can't pronounce French words that led to Casino Royale initially being published in paperback here as You Asked For It.) The first Rider novel, Stormbreaker, was adapted into the 2006 feature film Alex Rider: Operation Stormbreaker (review here), starring Alex Pettyfer, which fizzled at the U.S. box office after being terminally mishandled by The Weinstein Company. Eleventh Hour (Foyle's War) is Horowitz's wife's production company, and they've been trying to jumpstart new screen adventures for the hero of Horowitz's immensely popular YA spy series for a while now. Last year, ITV (home of wildly successful Horowitz-created dramas like Foyle's War and Midsummer Murders) had been in talks to produce an Alex Rider TV series, but they are no longer involved. According to the trade, Eleventh Hour developed the new project on spec, and Sony will fully fund and look for broadcast or platform partners. Guy Burt (The Bletchley Circle) will pen the adaptation. Horowitz, who adapted Stormbreaker himself for the 2006 film, will executive produce. Anthony Horowitz is one of Britain's most prolific and successful writers, straddling multiple mediums and somehow always hitting a home run. He created the excellent wartime mystery drama Foyle's War (starring GoldenEye's Michael Kitchen), which frequently featured espionage plots before morphing into a full-fledged spy drama as WWII ended in its timeline and the Cold War dawned. In a stroke of genius, Horowitz had the bright idea to combine James Bond with Harry Potter to create a YA sensation in the Alex Rider series, often turning to Ian Fleming for inspiration. Stormbreaker was largely modeled on Fleming's Moonraker plot (a wise idea, since kids were unlikely to be familiar with that since the movie was so different), and Point Blanc was a loose reworking of On Her Majesty's Secret Service (another safe bet since it's the film kids would be least likely to have seen). This approach evidently caught the eye of Ian Fleming Publications, who not only sought to create their own YA series with Charlie Higson's Young Bond books, but also eventually hired Horowitz to pen two official, adult James Bond continuation novels, Trigger Mortis and Forever And a Day. (I hope there will be more!) Horowitz has also produced bestselling Sherlock Holmes continuation novels as well as original adult mystery novels like Magpie Murders and The Word is Murder. 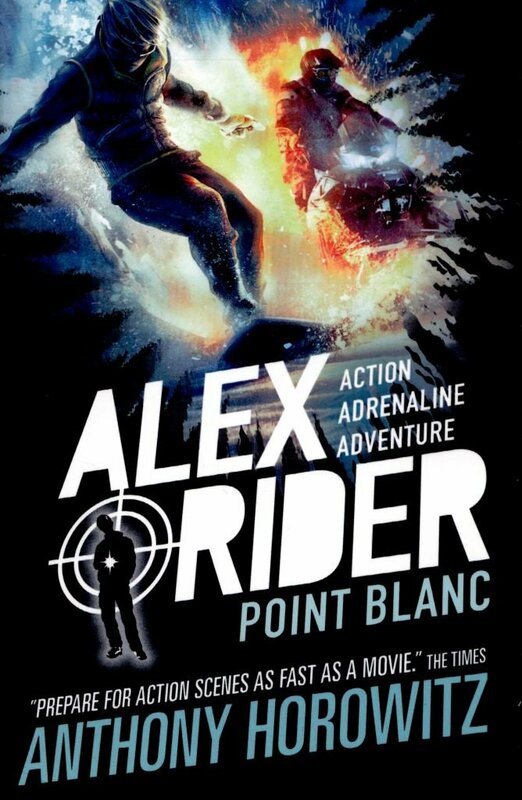 I really hope this new television take on Alex Rider proves successful and leads to adaptations of all the books!